XBoft Data Recovery 2.0 was available as a giveaway on August 15, 2018! Even if your whole partition is missing or cannot be recognized by system, your data is still recoverable. When a hard drive is corrupted, it become inaccessible. NB: Lifetime license with no updates and support. 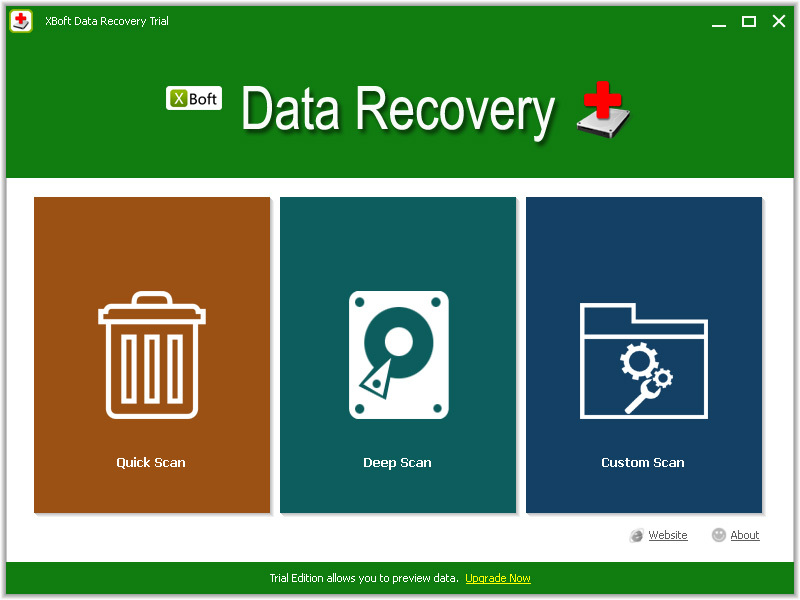 How would you improve XBoft Data Recovery 2.0? 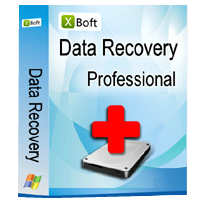 Get XBoft Data Recovery Full version 50% OFF. Free upgrade services and technical support; Free gifts for new products etc. Why else would you use RAW? I have a disk I use to test each of the Recovery programs on so that I can get a good indication as to which ones outperform the others. All through the install and recovery process XBoft reminded of one of the other programs I had tested. This program performed in the middle of all the Recovery programs I have tested. It was so close to one other Recovery program, that it seemed suspicious. The other was able to find 2056 files to recover, and this program found 2057 files. The two numbers are one off from each other, but quite a ways off from all the other programs I had data on. The other program is Rcysoft Data Recovery Wizard Pro offered here at GOTD on 2018-07-21. I stepped through the setup images I had saved, and found that the text, warnings, and other annotations are almost identical and in many cases are identical. The way the program works was also the same in nearly every way. The same options are available, and the final results presentation is the same data organized the same way. They are not photo identical of course, but the layout and choices/options are the same. These two programs are so close to being the same that they either are very related (same company/same individuals, offshoot, etc.) or one was started from a copy of the other. Very likely this program started as a clone of Rcysoft's program, only they did not do very much to disguise it. That seems to be a pretty common practice in China, but before accusing anyone of theft, maybe it is an offshoot experiment by that one ad guy that said, "What this program needs is a good rhyming slogan ..."
If you have the Rcysoft program, you can compare and see the similarities. At least this program found one more file than Rcysoft. Why else would you use RAW? I have a disk I use to test each of the Recovery programs on so that I can get a good indication as to which ones outperform the others. All through the install and recovery process XBoft reminded of one of the other programs I had tested. This program performed in the middle of all the Recovery programs I have tested. It was so close to one other Recovery program, that it seemed suspicious. The other was able to find 2056 files to recover, and this program found 2057 files. The two numbers are one off from each other, but quite a ways off from all the other programs I had data on. I had to investigate. The other program is Rcysoft Data Recovery Wizard Pro offered here at GOTD on 2018-07-21. I stepped through the setup images I had saved, and found that the text, warnings, and other annotations are almost identical and in many cases are identical. The way the program works was also the same in nearly every way. The same options are available, and the final results presentation is the same data organized the same way. They are not photo identical of course, but the layout and choices/options are the same. These two programs are so close to being the same that they either are very related (same company/same individuals, offshoot, etc.) or one was started from a copy of the other. Very likely this program started as a clone of Rcysoft's program, only they did not do very much to disguise it. That seems to be a pretty common practice in China, but before accusing anyone of theft, maybe it is an offshoot experiment by that one ad guy that said, "What this program needs is a good rhyming slogan ..." Hard drive fails? Partition becomes RAW? Accidentally deleted files? We recover them all. If you have the Rcysoft program, you can compare and see the similarities. At least this program found one more file than Rcysoft. What recovery programs can do and what they can not do is already more than enough said. Giving the necessary explanation is too much for me. In other words, try the program and see what it does. If necessary, create a small partition where the program can be installed. What recovery programs can do and what they can not do is already more than enough said. Giving the necessary explanation is too much for me. In other words, try the program and see what it does. 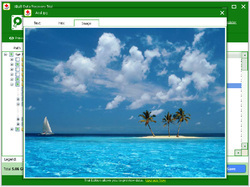 If necessary, create a small partition where the program can be installed. It's not possible to copy installed programs ( like Microsoft Office ) and have them work elsewhere, they must be installed in order to work, not copied. You can only copy portable programs, and data, use networking, a flash drive, and drag-and-drop, or use Microsoft's own free XCopy or RoboCopy, free TeraCopy, not free LapLink or other program to copy data from one place to another. The beauty of using a flash drive / external hard drive to use for copying / migration is that you'll have a backup made in the process. XBoft Data Recovery is data-recovery software for erased, reformatted, or "crashed" hard drives, not clone / copy / migration software.
. [ Marc ], It's not possible to copy installed programs ( like Microsoft Office ) and have them work elsewhere, they must be installed in order to work, not copied. You can only copy portable programs, and data, use networking, a flash drive, and drag-and-drop, or use Microsoft's own free XCopy or RoboCopy, free TeraCopy, not free LapLink or other program to copy data from one place to another. The beauty of using a flash drive / external hard drive to use for copying / migration is that you'll have a backup made in the process. XBoft Data Recovery is data-recovery software for erased, reformatted, or "crashed" hard drives, not clone / copy / migration software. .
Marc, WinToHDD or Acronis True Image both can make exact clone of you hard drive. Marc, I have used Laplink and can recommend it to a point. It is not free but will copy programs and data and keep a lot of them installed on the recipient computer IF you are using the same Op Sys. It is actually quite hard and really only something for tech-savvy experts. EaseUS also have a free program but after multiple tries I was not able to get success with it. I was able to transfer most installed programs from a MS Surface Pro 4 to a SPro 2017, and any that didn't work that I find I need I can try copying/reinstalling from the image file (created in the process) later. Bella, thanks! I'd prefer not to transfer a clone because I believe that would transfer my cluttered, slow OS, and eliminate the fresh Windows installation on new one. Am I wrong? Thanks again. You confirmed my fears though I held out hope for a work around. Thanks for the data transfer recs. Peter Blaise, Thanks again. You confirmed my fears though I held out hope for a work around. Thanks for the data transfer recs. W10 has progressively gotten more demanding, with a lot of superfluous stuff, AND goodness knows what processes that MS decided to have running in the background. That would be the main reason that your PC is slow. My W10 PC is a bit old, but W10 has NOW BECOME irritatingly slow. You may find that if your new PC is much more powerful, then your migrated W10 may become 'zippy' again. There are cloning programs (EG Acronis Universal restore) that can migrate your existing W10 into your new PC. Might be worth a try. You have nothing to lose, as you can always do a fresh install of W10, if things don't work out. Marc, W10 has progressively gotten more demanding, with a lot of superfluous stuff, AND goodness knows what processes that MS decided to have running in the background. That would be the main reason that your PC is slow. My W10 PC is a bit old, but W10 has NOW BECOME irritatingly slow. You may find that if your new PC is much more powerful, then your migrated W10 may become 'zippy' again. There are cloning programs (EG Acronis Universal restore) that can migrate your existing W10 into your new PC. Might be worth a try. You have nothing to lose, as you can always do a fresh install of W10, if things don't work out. Quarterdeck Clean Sweep could bottle up a copy of an installed program for reinstallation elsewhere, endless copies in fact. Symantec killed it when they bought Quarterdeck. No one dares automate your detailed prescription in the face of the powers of Microsoft and Adobe licensing, and others, especially custom-designed databases - anyone even automating the task of migrating a license and deleting it from the source computer risks legal action, Microsoft has sued servicers into bankruptcy. Volume licensing helps reduce the need for a new license on the next computer -- volume licensing is what Dell and other big companies do when cloning multiple hard drives for installations on any number of computers on demand. Some programs won't work if the cloned drive lands in another computer, some programs won't even work in a cloned drive in the same computer, the original installation "fingerprinting" whatever keeps their license under control. XBoft Data Recovery can recover data, but you'll have to search inside that data to find any lost licenses, and, as you say, piece together your own pieces of the puzzle to reinstall anything from recovered data.
. [ Gary ], Quarterdeck Clean Sweep could bottle up a copy of an installed program for reinstallation elsewhere, endless copies in fact. Symantec killed it when they bought Quarterdeck. No one dares automate your detailed prescription in the face of the powers of Microsoft and Adobe licensing, and others, especially custom-designed databases - anyone even automating the task of migrating a license and deleting it from the source computer risks legal action, Microsoft has sued servicers into bankruptcy. Volume licensing helps reduce the need for a new license on the next computer -- volume licensing is what Dell and other big companies do when cloning multiple hard drives for installations on any number of computers on demand. Some programs won't work if the cloned drive lands in another computer, some programs won't even work in a cloned drive in the same computer, the original installation "fingerprinting" whatever keeps their license under control. XBoft Data Recovery can recover data, but you'll have to search inside that data to find any lost licenses, and, as you say, piece together your own pieces of the puzzle to reinstall anything from recovered data. . I removed all of the recovery software from my system and installed sync files instead, therefore, any changes on the files in the main computer, get instant updates on 2 or more USB drives. Recovery is a thing of the past, never works on the files that are corrupted or a bad sector(s) have developed on the HD and if the index of sectors connections is bad (a file can be spread all across the HD drive by daisy chain effect built into MS OSs) and hence no single file can ever be recovered. I removed all of the recovery software from my system and installed sync files instead, therefore, any changes on the files in the main computer, get instant updates on 2 or more USB drives. 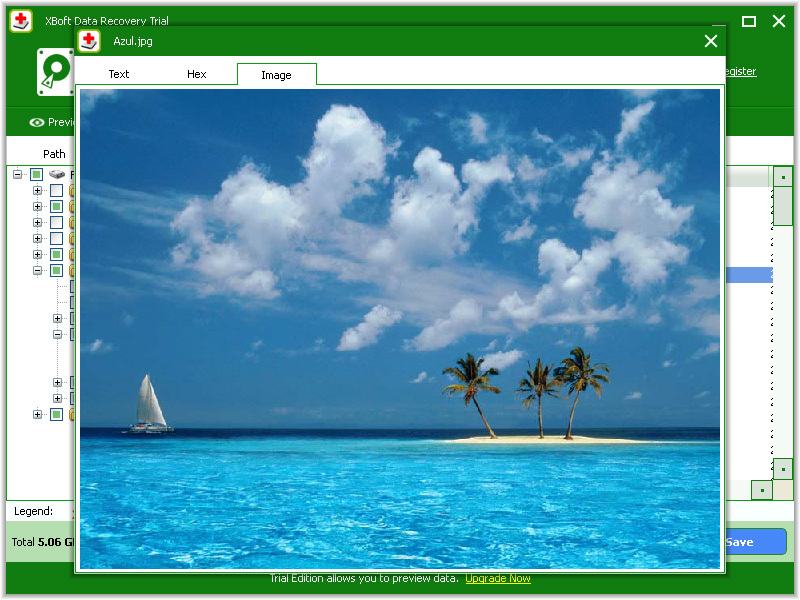 Recovery is a thing of the past, never works on the files that are corrupted or a bad sector(s) have developed on the HD and if the index of sectors connections is bad (a file can be spread all across the HD drive by daisy chain effect built into MS OSs) and hence no single file can ever be recovered. I have external drives with data from anywhere, who knows where, and sometimes it's unreadable, so I need recovery software for my archives and to scour "found" drives, especially to restore lost data for other people. Recovery is a thing of the future, over and over, forever -- your great grandchildren will need something like XBoft Data Recovery to recover your current data when they discover it in the attic.
. [ Matt ], I have external drives with data from anywhere, who knows where, and sometimes it's unreadable, so I need recovery software for my archives and to scour "found" drives, especially to restore lost data for other people. Recovery is a thing of the future, over and over, forever -- your great grandchildren will need something like XBoft Data Recovery to recover your current data when they discover it in the attic. .
Peter Blaise, I do not think so, have ever tried to recover data from a bad SSD drive or an outdated worn out spindle drive, there is nothing there to recover, the natural degaussing and charge leaks can not be stopped, therefore no data can be recovered on old drives especially if they have bad sectors. 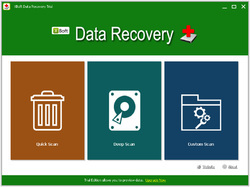 Recovery is a thing of the past, try to duplicate the drive, data or files, that is the future. I agree. We can make all the backups of our own materials with duplications of duplications, but there is always someone else that needs help recovering un-backed up data. XBoft did pretty good compared to many other offers we have seen here on GOTD, but I agree with ANiteOwl that iCare Data Recovery has been the one that has consistently done a better job. I would like for some company to beat them though, not because I have anything against them, in fact, just the opposite, but I like seeing better and better recovery software come on the market. Then I hope iCare beats the new top dog. We all benefit from these improvements. I started in the CP/M days where recovery meant $5,000 would be spent before you had anything recovered. These programs less then $100 are phenomenal, and to get to try these out here for free, even more so. I have a nice portable recovery program. If I or someone I know accidentally deleted a file, we know the name and if that portable software can recover it, then great. But if my cousin comes to me and says, her computer disk is acting odd, and it contains the only digital photos of her family for the last 20 years, including her deceased Mom, I need to attempt the best recovery possible. Of course, the best manicured program presentation is important, but at that point, I don't care if the software manual is not perfect English; I don't care if their web site domain was registered within the last month. What I really care about is which program can recover the most files accurately. Since this is a market that will continue to have improvements, expect to see some new ones surface every so often. I don't care how new they are, I will give them a try. Good going GOTD. Thanks for the chance to try another one. Peter Blaise, I agree. We can make all the backups of our own materials with duplications of duplications, but there is always someone else that needs help recovering un-backed up data. XBoft did pretty good compared to many other offers we have seen here on GOTD, but I agree with ANiteOwl that iCare Data Recovery has been the one that has consistently done a better job. I would like for some company to beat them though, not because I have anything against them, in fact, just the opposite, but I like seeing better and better recovery software come on the market. Then I hope iCare beats the new top dog. We all benefit from these improvements. I started in the CP/M days where recovery meant $5,000 would be spent before you had anything recovered. These programs less then $100 are phenomenal, and to get to try these out here for free, even more so. I have a nice portable recovery program. If I or someone I know accidentally deleted a file, we know the name and if that portable software can recover it, then great. But if my cousin comes to me and says, her computer disk is acting odd, and it contains the only digital photos of her family for the last 20 years, including her deceased Mom, I need to attempt the best recovery possible. Of course, the best manicured program presentation is important, but at that point, I don't care if the software manual is not perfect English; I don't care if their web site domain was registered within the last month. What I really care about is which program can recover the most files accurately. Since this is a market that will continue to have improvements, expect to see some new ones surface every so often. I don't care how new they are, I will give them a try. Good going GOTD. Thanks for the chance to try another one. ( c ) not return the drive to you, thanks for adding to my 30 TB and growing HDD farm. -- In the field, SpinRite and HDD Regenerator and other tools do a splendid job of refreshing weak and bad sectors, rewriting track markers and error correction sectors. -- In the lab, Ace Labs PC-3000 and others overcome bad electronics. -- I use automotive ( Rain X ), audio ( Stanton Anti Static ), and aeronautic ( airplane windshield polish ) super materials to resurface platters and heads to eliminate head stiction. -- Data recovery labs like Gillware and others perform miracles in their computerized machine-shops, mounting platters on their own spindles, resurfacing rough platters, reading data with micro controls over their own head assemblies, building likely databases, comparing data and interpolating likely data structure. -- I soak failed SSDs in an ultrasonic bath of pineapple juice enzymes overnight, then clean them in distilled alcohol, then submerge them in Mobil 1 to eliminate exposure to oxygen and humidity, freeze them in the oil, then they reveal everything someone thought was gone forever -- messy, time consuming, but effective.
. [ Maria ], Please send me any drive who's data that you think cannot be retrieved, and I will: ( a ) retrieve data from it, ( b ) post it to the web as proof, ( c ) not return the drive to you, thanks for adding to my 30 TB and growing HDD farm. -- In the field, SpinRite and HDD Regenerator and other tools do a splendid job of refreshing weak and bad sectors, rewriting track markers and error correction sectors. -- In the lab, Ace Labs PC-3000 and others overcome bad electronics. -- I use automotive ( Rain X ), audio ( Stanton Anti Static ), and aeronautic ( airplane windshield polish ) super materials to resurface platters and heads to eliminate head stiction. -- Data recovery labs like Gillware and others perform miracles in their computerized machine-shops, mounting platters on their own spindles, resurfacing rough platters, reading data with micro controls over their own head assemblies, building likely databases, comparing data and interpolating likely data structure. -- I soak failed SSDs in an ultrasonic bath of pineapple juice enzymes overnight, then clean them in distilled alcohol, then submerge them in Mobil 1 to eliminate exposure to oxygen and humidity, freeze them in the oil, then they reveal everything someone thought was gone forever -- messy, time consuming, but effective. .
XBoft Data Recovery DOES "duplicate the drive, data or files" -- that's the definition of "recovery".
. [ Maria ], XBoft Data Recovery DOES "duplicate the drive, data or files" -- that's the definition of "recovery". .
Can this software really recover files from inaccesible not visible in computer m<angemnt and not spinning drive? Or is there any other recovery software wich could do all that? Peter Blaise, The Chinese did a great copy job of MS Office years ago. Called Kingsoft Office back then and was free. Now called WPS Office - free with ads, $30/year without. Not "the Chinese", but "some people in China", as they all Chinese people in China did not participate, nor need to. See also people not in China producing Open Office, Libre Office, SoftMaker, and so on.
. [ jj juice ], Not "the Chinese", but "some people in China", as they all Chinese people in China did not participate, nor need to. See also people not in China producing Open Office, Libre Office, SoftMaker, and so on. .
Peter Blaise, The Chinese do not believe in copyrighted software, modify an already existing software and put your name on it, that is the Chinese motto. I have read that more than once. Peter Blaise, ....esponsive "the drive is there but must be formatted" or "the interface is there but there is no drive attached" ... and SSDs anyone... I have read that more than once. Freddie Flintstone, I am not sure when you posted your comment, but if you look at an earlier post from MikeR you will see he has raised this issue already. What MikeR didn't say was that installing data recovery software on a computer's hard drive makes no sense because how do you know it will still be functional when you need it? I have experienced a friends computer failing to the point that not only was data lost but the recovery software wouldn't even start. The computer was operational only in Windows Safe Mode. Yet even in Safe Mode, the recovery program still wouldn't launch. If I had been bright enough to realise that recovery software should be independent of any computer, I could have used a USB stick to search for missing data. I do wish today's developer would say here on GAOTD if there is a portable version of this software. There should definitely be for software as expensive as this. Until the developer clears this up then there is no point in me downloading and trying this offer today. Freddie Flintstone, I am not sure when you posted your comment, but if you look at an earlier post from MikeR you will see he has raised this issue already. What MikeR didn't say was that installing data recovery software on a computer's hard drive makes no sense because how do you know it will still be functional when you need it? I have experienced a friends computer failing to the point that not only was data lost but the recovery software wouldn't even start. The computer was operational only in Windows Safe Mode. Yet even in Safe Mode, the recovery program still wouldn't launch. If I had been bright enough to realise that recovery software should be independent of any computer, I could have used a USB stick to search for missing data. I do wish today's developer would say here on GAOTD if there is a portable version of this software. There should definitely be for software as expensive as this. Until the developer clears this up then there is no point in me downloading and trying this offer today. We do data recovery from a working system on a non-working drive. There is no expectation that a non-working drive will heal itself. This version of XBoft Data Recovery can be installed on a working system whenever we need to recover a non-working drive.
. [ PeterW ], We do data recovery from a working system on a non-working drive. There is no expectation that a non-working drive will heal itself. This version of XBoft Data Recovery can be installed on a working system whenever we need to recover a non-working drive. . .
Freddie Flintstone, You could always install the software on two computers and use each to recover the other's drives. Just an idea and I hope it helps. Not going to risk this at all. Only got to read the description text to worry. Really bad English, similar to the English you get on scam/phishing emails. Worrying. Tony, do you prefer the description to be in Mandarin? It is simply a Chinese company! You also have to think that the R is not in their vocabulary. Tony, do you prefer the description to be in Mandarin? It is simply a Chinese company! You also have to think that the R is not in their vocabulary. Ivanovich, just an opinion, as is yours. Tony, After giving us the "hard sell" about how wonderful this programme is, they end up, "When a hard drive is corrupted, it become inaccessible. Hard disk or partition suddenly become RAW and cannot access the stored data..."
As regards the "Chinglish" (not much of it, really) -- such companies really should have a really good (almost native) speaker look at what they intend to put out. The point is, the people that originally WRITE it don't realise that it is, shall we say, somewhat "lacking". If their English is pretty good, they probably wouldn't. Tony, does not matter. Let Americans speak a Mandarin. How many Chinese will understand them? Tranmontane, I have a brother who lived in China for 14 years, and learned enough Chinese (Cantonese) to offer his services for Chinese/English document translation. In every case where he offered his services, the answer was always "but we have someone on staff who does that already." They would never hear that said staff member was putting out poor English. That would be a loss of face to the staff member, and is to be avoided at all costs. There is no good way to inform a Chinese company that their English translation "isn't good enough." Your comment about communications and translation is akin to industry jargon not landing well among their customers. "... Are you sure? ..."
... without reminding us that we were about to reformat drive C:. "... [ Enter ] to exit, [ Escape ] to continue ..."
And sometimes direct translations from language to language take a "hydraulic ram" and make it a "water goat". Regardless, XBoft Data Recovery, the program itself, seems to me to be neat, clear, succinct, unambiguous.
. [ Tony ], Your comment about communications and translation is akin to industry jargon not landing well among their customers. We should have barked so loud when Microsoft offered us equivalent silliness in their programs that often merely asked, "... Are you sure? ..." ... without reminding us that we were about to reformat drive C:. And I love ( hate ) Microsoft's programers who thought THIS was logical communication: "... [ Enter ] to exit, [ Escape ] to continue ..." And sometimes direct translations from language to language take a "hydraulic ram" and make it a "water goat". Regardless, XBoft Data Recovery, the program itself, seems to me to be neat, clear, succinct, unambiguous. .
You are absolutely correct. In the 90s I did translation from manuals that someone in the company had already translated into English, usually someone that had attended a school in the U.S. and had worked here for a time. When they returned to China, they were considered translation Gurus. It was a hard sell because they could not comprehend that the English version was in any way defective. Only because the Enterprise-level corporations I did work for required a better translation was I was able to do the translation. After my work was done and 100 acceptable to the US client, the Chinese company, including their original translator, could not understand the difference, and still felt insulted. I also found out that people living in the northern part of China often cannot understand the speakers of the same language at the southern end. Just like most larger countries have regional accents, their country is so large that the language varies immensely. Daniel Bragg, You are absolutely correct. In the 90s I did translation from manuals that someone in the company had already translated into English, usually someone that had attended a school in the U.S. and had worked here for a time. When they returned to China, they were considered translation Gurus. It was a hard sell because they could not comprehend that the English version was in any way defective. Only because the Enterprise-level corporations I did work for required a better translation was I was able to do the translation. After my work was done and 100 acceptable to the US client, the Chinese company, including their original translator, could not understand the difference, and still felt insulted. I also found out that people living in the northern part of China often cannot understand the speakers of the same language at the southern end. Just like most larger countries have regional accents, their country is so large that the language varies immensely. Peter Blaise, Yes I love Microsoft's [enter] to exit, [escape] to continue. Even better was `fatal error!!" when you expected the computer to shoot out a dagger to stab you with, or that you had two minutes left to live. Then `error' when you have done nothing wrong, the programme has, when the word they meant was `fault' which could be you or the machine or programme. Alas these misuses have become entrenched, so how can we blame the poor Chinese? Incidentally, I once had a German gadget, a soap holder, whose instructions included `attach to the backside'. Peter Blaise, Yes I love Microsoft's [enter] to exit, [escape] to continue. Even better was `fatal error!!" when you expected the computer to shoot out a dagger to stab you with, or that you had two minutes left to live. But look at two words in English that they distorted at the very start. `Memory' for work space — memory is forgotten when you switch off. (O.K. ROM is alright but not RAM.) Then `error' when you have done nothing wrong, the programme has, when the word they meant was `fault' which could be you or the machine or programme. Alas these misuses have become entrenched, so how can we blame the poor Chinese? Incidentally, I once had a German gadget, a soap holder, whose instructions included `attach to the backside'. IBM disfavored anthropomorphizing computers ( think of HAL2000 ), and so, preferred the word "storage" instead of the word "memory", RAS random access storage, not RAM ... but IBM was never much of a leader or controller, so now we're stuck with other folks leading us to think of computers as having memory, having human capabilities, when they do not. "... and bullets can be used ..."
... meaning, the person who was to print the instruction sheet was told, in writing, that they could make a list of features, and "bullets can be used" to mark the items in the features list ... doh! "... Happy Birthday Johnny Underlined ..."
. [ Laxative ], IBM disfavored anthropomorphizing computers ( think of HAL2000 ), and so, preferred the word "storage" instead of the word "memory", RAS random access storage, not RAM ... but IBM was never much of a leader or controller, so now we're stuck with other folks leading us to think of computers as having memory, having human capabilities, when they do not. But more entertainment: Instruction from a Taiwanese calculator included the line: "... and bullets can be used ..." ... meaning, the person who was to print the instruction sheet was told, in writing, that they could make a list of features, and "bullets can be used" to mark the items in the features list ... doh! Or the Walmart cake with this written on it: "... Happy Birthday Johnny Underlined ..." __________ ( PS - Occasionally, GOTD allows us to have these off-topic chats, very nice, good community! ) . A new company? Copyright © 2018 Chengdu Xiaobo Software Co., Ltd., All Rights Reserved. 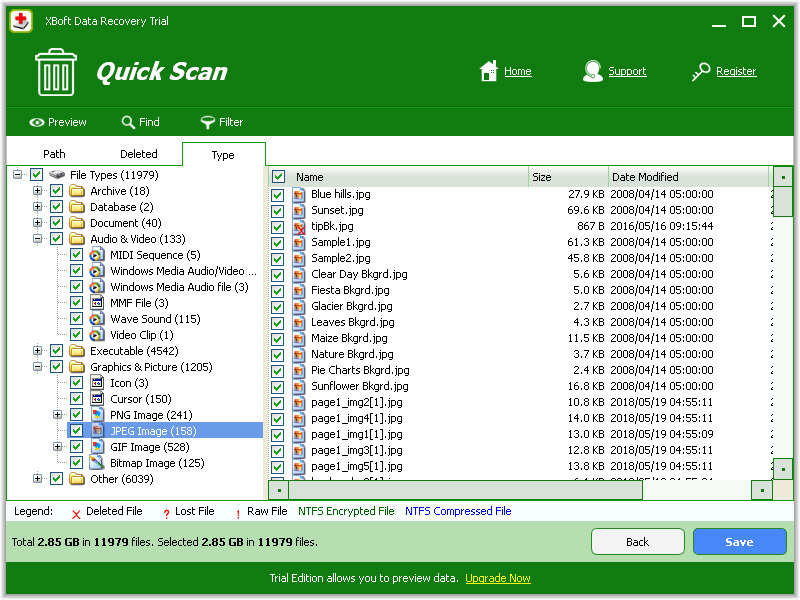 Recover 2 GB for free. Used a CF card. Found files; nothing. 16 GB CF card is used to run movies on the flat screen.